Good afternoon. 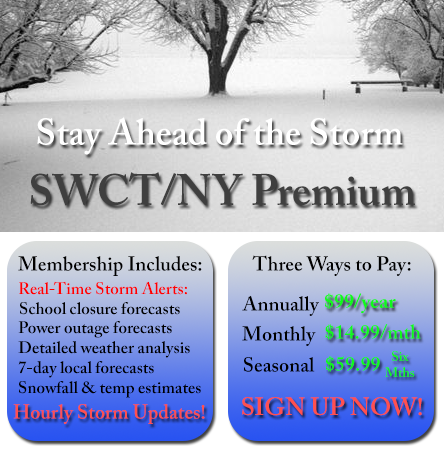 Here is some info on today’s storm & upcoming weather as well as an SWCT Beta Accumulation Map for tonight into tomorrow. 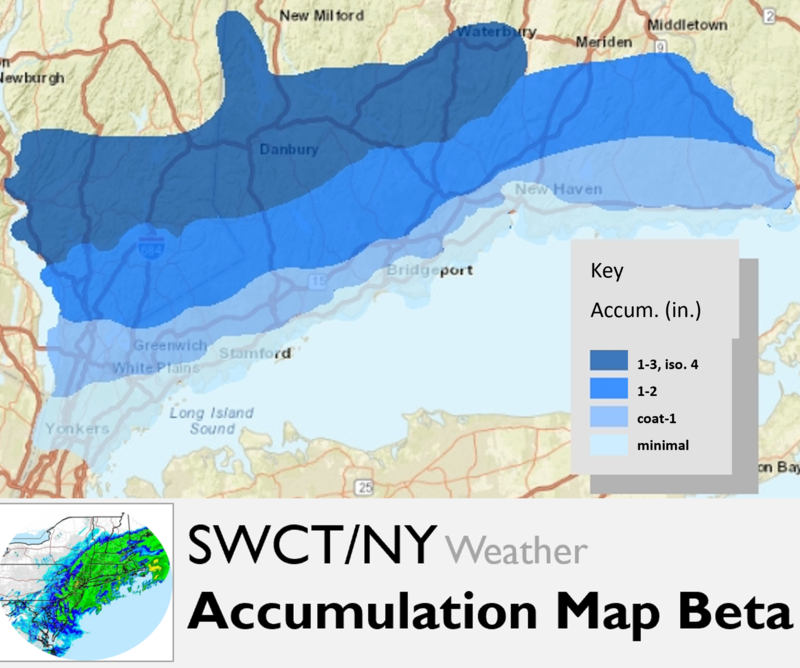 We see that far inland areas see the best chance for school impacts and additional snow accumulations. Gusty winds will continue through the day Wednesday and Thursday. There is uncertainty as always. 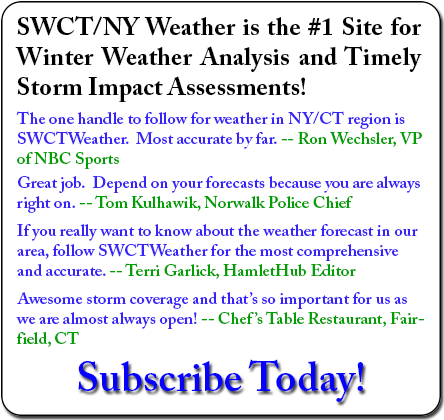 Particularly, whether the snow struggles to stick to the roads will play a huge role. Earlier today we measured the road temperature in northern Westchester to be about 33 degrees so the roads are nearing the freezing point far inland. Feel free to reach out with questions. 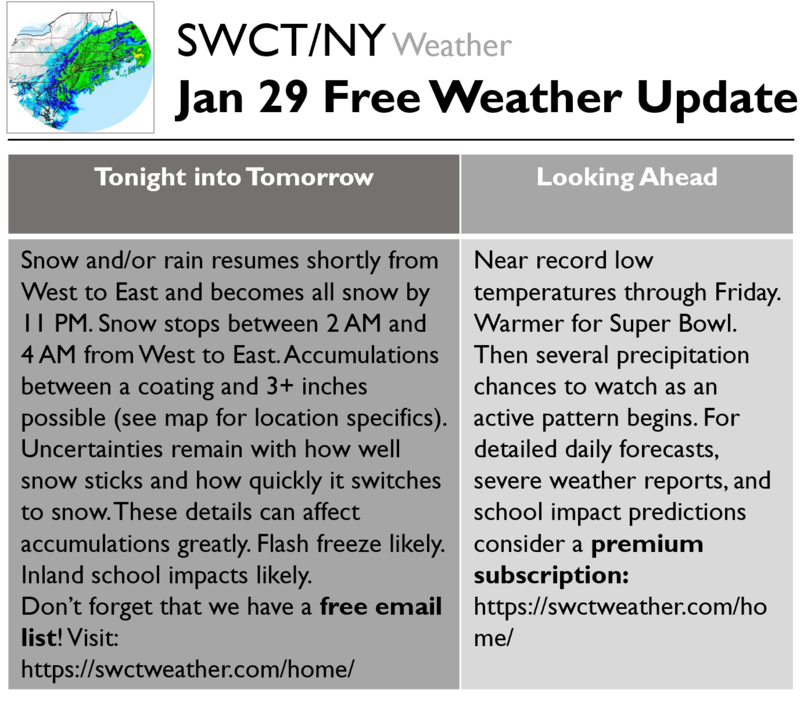 Premium subscribers just received an email with detailed timing of precipitation, school impact percent predictions, and detailed discussion.